What Are the Pearls in Boba Tea? Also called boba tea, bubble tea is a sweet and refreshing beverage that continues to grow in popularity in the United States. Despite this, many people aren’t sure what goes into a bubble tea drink. Even if you’ve tried boba tea before, you may find yourself wondering about the chewy balls that sit at the bottom of the cup. If you’ve ever seen bubble tea described as tapioca tea, this is because the defining feature of this drink, which is the layer of chewy balls at the bottom, is made from tapioca pearls. Tapioca is a starch that is extracted from a root called cassava, and it is then ground into flour to create marble-sized tapioca pearls. Depending on the type of tapioca pearl used, the boba pearls can appear clear or black once they are cooked. 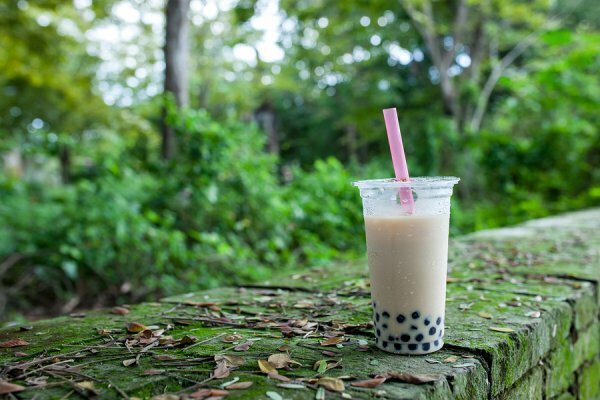 Happy TeaHouse & Café specializes in serving delicious bubble tea in Houston, along with snacks, meals, and smoothies. We have both indoor and outdoor seating and provide a fun and comfortable environment for our customers. To learn more about our tea house, please contact us at (713) 469-3275.